Shopping centers can have problems all their own, whether it’s vandalism, unwanted carpool parking, graffiti, theft, etc. Citiguard knows the importance of keep shoppers, tenants and employees safe. Citiguard’s security protection consultants will sit with the management company to establish the best post order for each individual shopping center, whether it is a single business, small shopping center or a large shopping plaza. Our security protection guards are armed and unarmed and are all well trained in all areas. 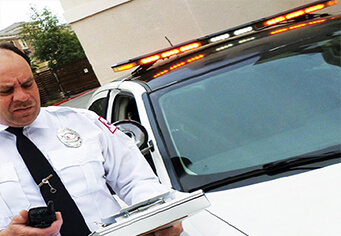 The basic job function for a shopping center security protection guard is to protect his/her employer from theft, vandalism and all other illegal activity while maintaining post orders. One of the major roles a security protection guard is dedicated to, is be present at all times and act as an effective deterrent. A security protection guard at an entryway and/or walking the premises represents safety, security and piece of mind. Having a security protection guard present “will” act as an effective deterrent and it is less likely that theft, trespassing or property damage will occur. Call Citiguard today to set up your free consultation with one of our highly-trained security protection consultants.